Whether you’re headed to the city or around it, be sure to check out an RV rental in Nashville from Campanda. Take in the music scene, visit family or friends, it’s natural, get excited about your upcoming road trip. Between the beautiful sights and the adventure that lies ahead, there’s nothing quite so freeing or stimulating as a great road trip to a favorite place in one of our RV rentals in Nashville. Before you head off, though, you’ll want to be sure that you’re prepared to make the best of the trip. While many people travel in their personal cars for long road trips such as these, there’s a better way to do it. By securing an RV rental in Nashville, TN, you can save your car from the wear and tear of the trip while also outfitting yourself with more space and a higher level of comfort. Plus, you can save money on pricey hotels and expensive accommodations. To put it another way – there’s no way to make your trip to Nashville more exciting and enjoyable than by renting an RV in Nashville. More storage space. We don’t need to tell you that an RV is bigger than a family car, but we will anyway. During a road trip, it can be difficult to pack everything you need to make the vacation as enjoyable as possible and, more often than not, things wind up getting crushed, damaged, or lost in the mess of a trunk or backseat. Fortunately, this isn’t a problem in an RV. We offer a selection of 25,000 motorhomes, so you can choose the one that offers as much or as little storage space as you need. No need for a hotel. Staying in hotels can be expensive and it’s often difficult to find a comfortable, clean hotel that you actually enjoy being at. When you secure an RV rental in Nashville, Tennessee, however, you remove the need to rent a hotel during your trip. Regardless of how many people you’re traveling with or what their needs may be, we can help you outfit yourself and your family or friends with comfortable, luxurious sleeping arrangements inside one of our RVs. The comforts of home…on the road! As excited as you are to head out on your trip, it can be difficult to leave the comforts of home at home. Most travelers hate not being able to cook for themselves or make use of a private bathroom, but with a motorhome, it’s not a problem! Depending upon which make and model of RV you rent, it’s easy to find one that offers a kitchenette, a lounge area, a television, or anything you may need or want! Don’t sacrifice your comfort to have the adventure of a lifetime – simply rent the vehicle of your choosing and take all of the benefits of home on the road with you. Most travelers are a bit nervous to secure an RV rental in Nashville. Either they’ve never done it before or they’re not precisely sure what they want. They worry about being lied to or being unsupported. Fortunately, however, travelers who work with Campanda don’t ever have to worry about these things. There’s nothing more important to us than customer satisfaction. The largest selection of RVs. With more than 25,000 RVs to choose from, it’s not hard to find the one that meets your needs perfectly. 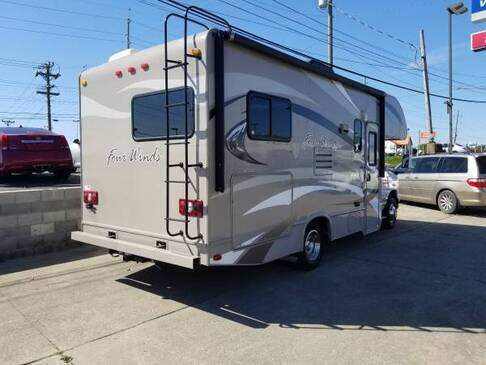 Whether you’re driving to Nashville from out of state or simply looking for a great adventure vehicle that will help you explore Nashville and the surrounding areas once you get there, we have the ideal RV for you. Simply search our website for models that meet your needs based on specific criteria, like sleeping room, size, cost, or number of seats. The lowest prices in the industry. At Campanda, we know that getting a great deal is important to you, which is why we do everything we can to help you stay on-budget all the time. When you work with us, you can search for motorhomes based specifically on price range and our support staff is always happy to work with you to help you find a vehicle you can afford and enjoy. Additionally, we offer a price match guarantee. If you find the same RV at a lower price, we’ll match the price or refund the difference to you if you’ve already rented it. 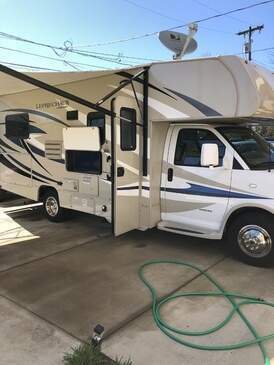 An RV rental in Nashville saves you the trouble of shopping around and ensures that you’re comparing all possible deals available online at any given time. Outstanding customer support. If you’ve never rented an RV before, the process can be confusing. Fortunately, our dedicated support staff is here to help guide you through every step of the process. Regardless of whether you have questions about a specific make and model of recreational vehicle or you need help coordinating pick-ups and drop-offs, our support team is here for you. You’ve been planning your trip for months and, now, it’s time to get an RV rental in Nashville. Whether you’ve planned the itinerary exhaustively or you’re flying by the seat of your pants, you want these memories to last. Don’t head out on the open road alone, though – contact Campanda to help you choose the right RV and make the most of your trip to Nashville. The leader in campervan, trailer and all types of recreational home rentals in Nashville, Campanda is dedicated to your success and happiness. Contact us today to secure your motorhome rental in Nashville, TN or to find out more about our award-winning service, support, and stock. You can also check out our RVs in Atlanta if you can't quite find what you're looking for.